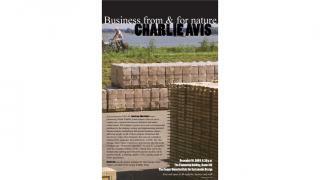 Charlie Avis "Business from & for Nature"
Active between 2003–09, One Europe, More Nature was a pioneering World Wildlife Fund initiative that set out to explore new connections between business and nature conservation. The initiative's goal was to solve environmental problems by developing, testing, and implementing practical business/nature mechanisms that benefit business, nature, and local people. In all of these projects, businesses did not merely reduce their footprint; they actively created or enhanced the landscape, the biodiversity, or both. The One Europe, More Nature experiences demonstrate that the needs of nature can—if cleverly addressed—be entirely compatible with the economic realities of life. Indeed, they can be the fundamental starting point for profit and for income, not to mention health, wellbeing, quality of life, and the needs of future generations.Charlie Avis was the project manager for One Europe, More Nature.